I’m am going to start building a section on the architects and buildings of Dallas that would be worth checking out should you ever decide to come to town and want to see some of the architecture we have. 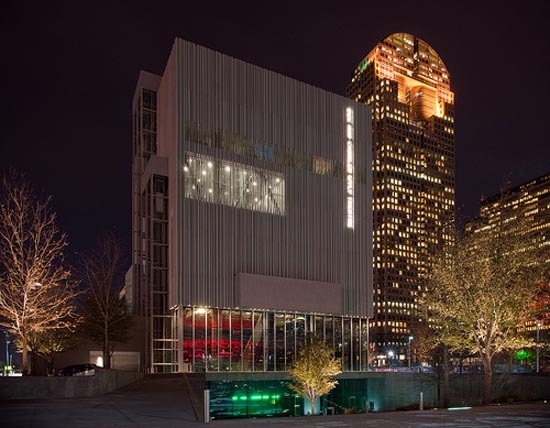 In my inaugural post, I decided to focus on an area rather than an specific architect – The Dallas Arts District. This District is a unique, 68-acre, 19-block neighborhood in the heart of the city – a rare jewel that is the centerpiece of the region’s cultural life, the District is home to some of the finest architecture in the world. Enhancing the downtown Dallas skyline are buildings by Pritzker Prize winners I.M. Pei, Renzo Piano, Norman Foster, Rem Koolhaas and AIA “Gold Medal” recipient Edward Larrabee Barnes. 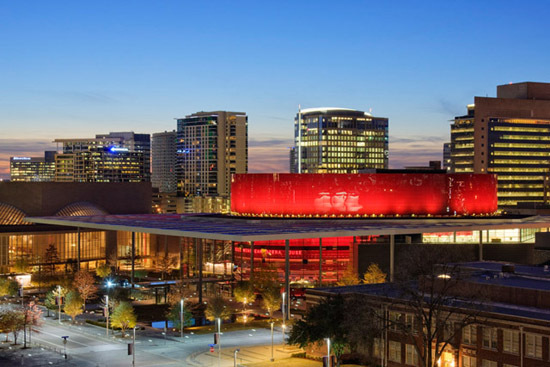 The good folks who promote the Dallas Arts District have been a great resource of information and most of the information I have assembled here came from them. The Dallas Center for Architecture gives an excellent walking tour of this area twice a month (you can go here and look at their calendar of architecturally related events and happenings). Their 90-minute architecture walking tours are led by trained tour guides and examine buildings from the 1890’s to the present day. Tours are held on the first and third Saturdays of each month, beginning at 10:00 a.m. at the ceremonial entrance to the Dallas Museum of Art (Flora and Harwood). The tour is held rain or shine. This tour is worth the time and the small fee (between $5 and $10).